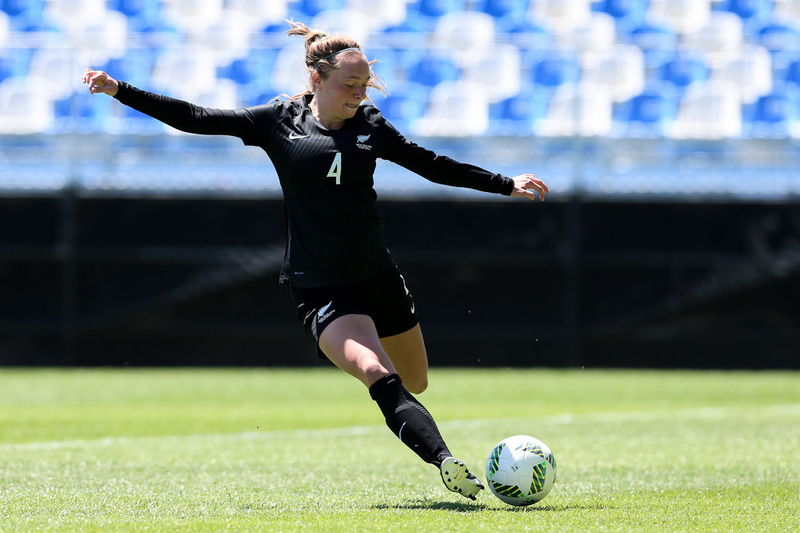 New Zealand have defeated Papua New Guinea 12-0 on the first day of action at the OFC U-19 Women’s Championship 2017. New Zealand: 1. Anna LEAT (GK), 2. Saskia VOSPER, 3. Rebecca LAKE, 4. Elizabeth ANTON, 5. Sarah MORTON, 6. Grace JALE, 7. Emma MAIN, 8. Malia STEINMETZ (C), 9. Samantha TAWHARU, 10. Hannah BLAKE, 11. Jacqui HAND. Substitutes: 13. Nadia OLLA (RGK), 14. Claudia BUNGE, 15. Michaela FOSTER, 16. Nicole METTAM, 17. Dayna STEVENS, 19. Deven JACKSON, 20. Serena MURRIHY. Papua New Guinea: 1. Faith KASIRAY (GK), 2. Natasha SAGEM, 3. Margret JOSEPH (C), 4. Isabella NATERA, 7. Marity SEP, 9. Selina UNAMBA, 10. Nicollete AGEVA, 12. Belinda GIADA, 13. Ramona PADIO, 14. Leah KARO, 18. Jacklyn MAIYOSI. Substitutes: 5. Bridget PAIME, 16. Serah TAMGOL, 17. Melisa JOFARI.